With an environmentally-conscious vision, Whitehaus Collection® offers a wide range of WaterSense labeled products for your home, encouraging water efficiency and helping you take steps each day to save water and protect the environment. All of Whitehaus products that show this label meet EPA’s specifications for water efficiency and performance. 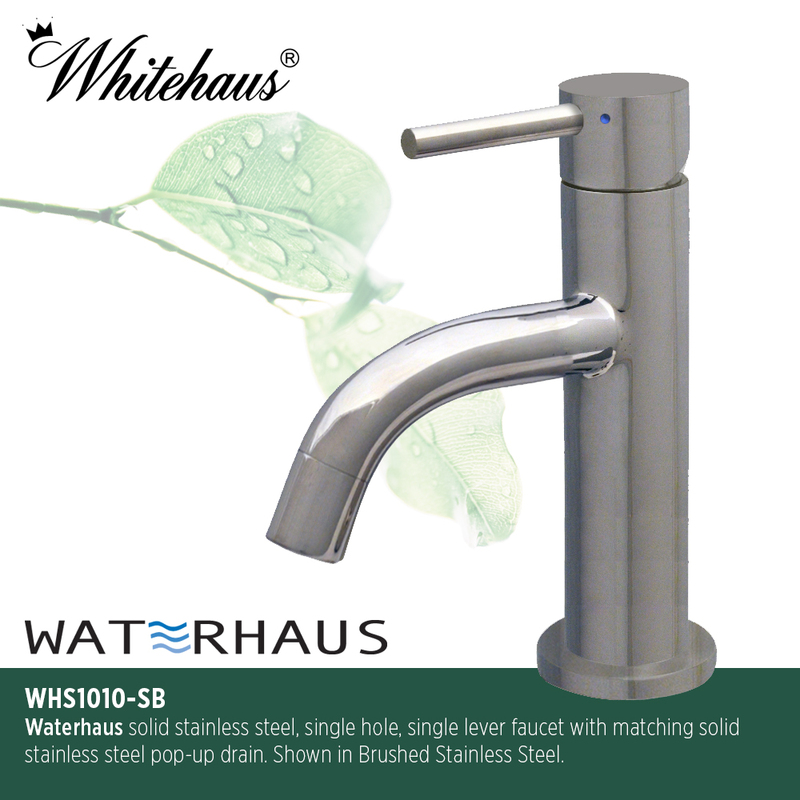 Check for example, the Waterhaus WHS1010-SB solid stainless steel, single hole, single lever bath faucet with matching solid stainless steel pop-up drain. Available in Brushed Stainless steel and Polished Stainless Steel. A superb eco-friendly toilet is the Magic Flush WHMFL3309-EB, a one-piece design toilet with an elongated bowl and soft drop seat for comfort. Its glazed dropway makes it extremely sanitary as it allows easy interior cleaning, and its stylish, smooth skirt allows for easy exterior cleaning. 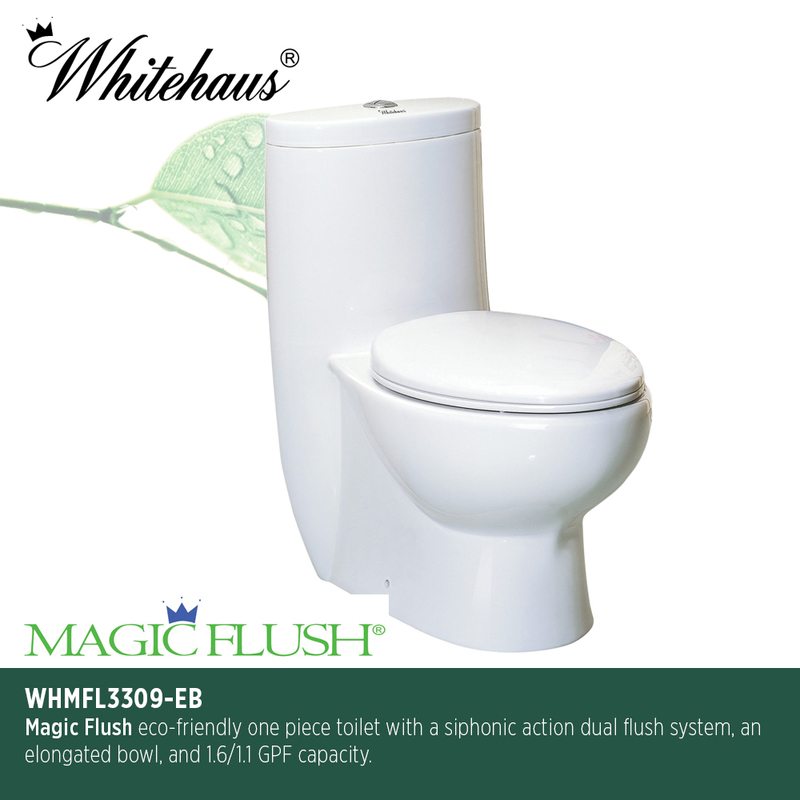 The WHMFL3309-EB toilet allows for limited use per flush, for up to 84% reduction in water usage. This toilet comes with a siphonic action dual flush system, that lets you choose a full or partial flush with the simple push of the top mounted button. With 1.6/1.1 gpf, WaterSense certification and Cupc approved, it provides significant water savings without affecting performance.